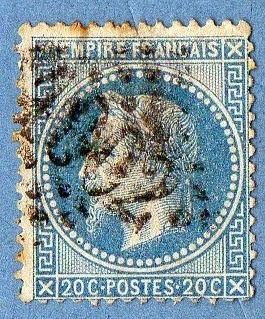 1967Stamps: A Name and some Stamps..
A Name and some Stamps..
[Left] This is a Napoleon III stamp.. 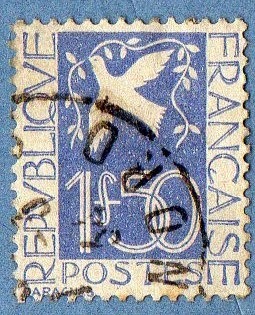 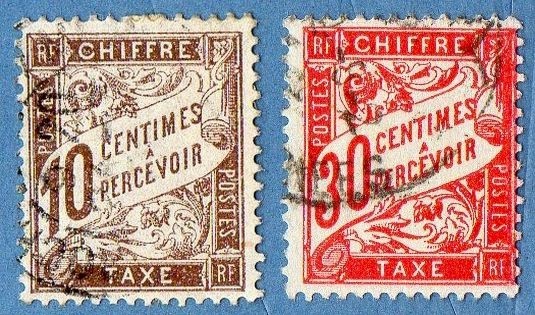 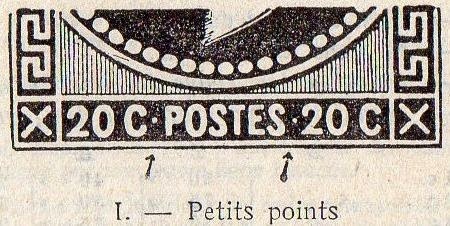 It is presented here not only because it is a new entry but to exemplify one of the several obliteration methods in the earlier stamps from France (large picture below)..
[Left] These are two stamps of the Sage Type..this series was issued from 1876 to 1900 and during the classification of these stamps we must have in mind the picture below..( the position of the 'n' of 'inv' below the letters 'U' or 'B' of the word 'REPUBLIC').. 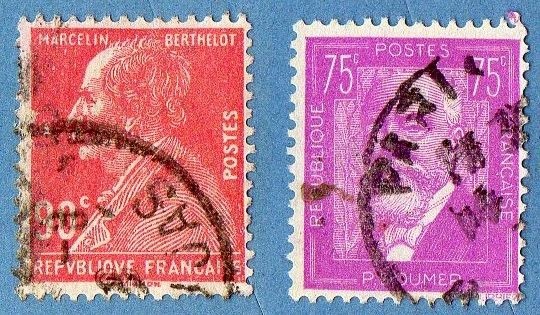 The name of the series is due , like many others, to the Designer name (Jules August Sage, in this case)..
[Right] these are two very beautiful Postage Due stamps... . 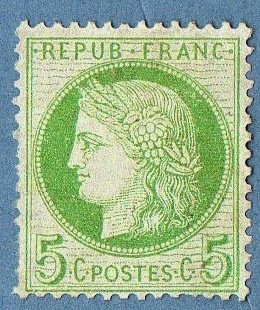 These are stamps from the famous series "La Semeuse de Roty" (in homage to the Designer Louis Oscar Roty) ; There are two main varieties of this stamp : with lined Background and with solid Background...I always say that the use of a National Catalog is indispensable in almost every case.. 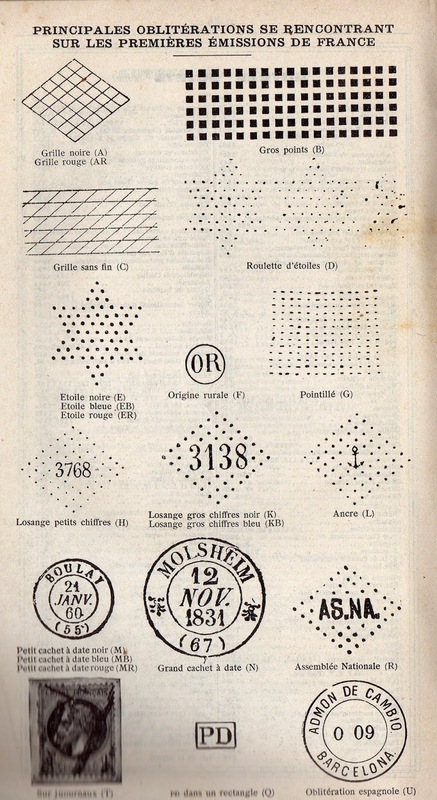 However in this particular series I think that the simplicity of Scott world Catalog allied with the detailed review of the series by Yvert is the best line of work.. 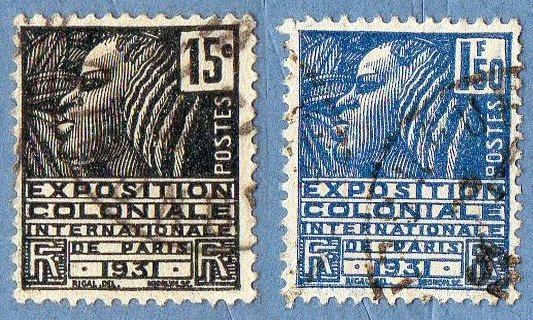 The lined Background stamps have also a beautiful design of the Sun and it's rays..
A complete description of all the existent types of these stamps would be very long and exhausting..we should left it to another time..
[Left] two individual series about important personalities from French culture and Science..
stamps from two different series about Marshal Petain.. 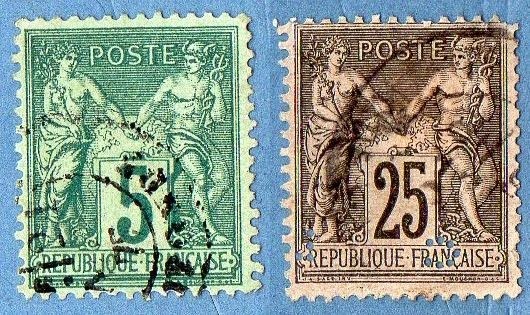 In a closer look to the coat of Arms stamp, we see that it is surrounded by a chain , that is broken at the middle..The stamp is from 1945 so We can easily reach the conclusion that it represents 'France finally Free' after WWII..
Beautiful stamps from the 'Marianne de Muller' Series... the Marianne series was and continues to be an honor to the designers who are invited to do it...several of the Great Masters of French Stamp Design and Engraving are already in the list of those who have one Marianne stamp with their names.. sometimes this honor is given after the death of the Artist, like the 1967 Marianne de Cheffer.. this time we have a design by Louis Charles Muller..